The National Eagle Scout Association (NESA) is a fellowship of men who have achieved the Eagle Scout rank and who desire to use their efforts and influence toward forming the kind of young men America needs for leadership. 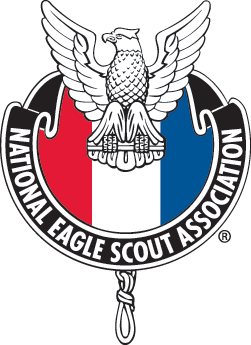 The objective of NESA is "to serve Eagle Scouts and, through them, the entire movement of Scouting." Welcome to the home of the Great Southwest Council's National Eagle Scout Association Committee. The committee is charged with promotion of NESA and administering the Outstanding Eagle Scout Award and National Eagle Scout Service Project of the Year Award. To contact the chair of the Great Southwest Council's National Eagle Scout Association Committee, E-mail Skip Brown.